Lloyd just had a cameo in Donald Glover's new show Atlanta, and ever since we've been patiently awaiting his welcome comeback. Today, he's shared a new remix of his "Tru" single, which recruits 2 Chainz and reminds us what the singer is capable of, as he settles right back into the lane he occupied when he dropped 2011's highly underrated King Of Hearts. 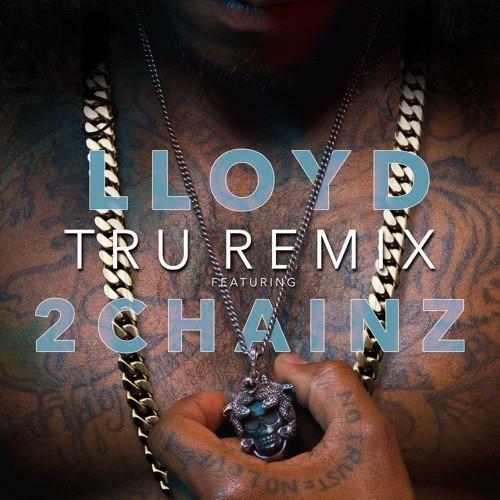 After some spoken word from Lloyd and a JUSTICE League drop, 2 Chainz enters with an uncharacteristically intimate verse, reeling back his voice into a delivery that suits the sweltering bedroom setting brought about by the guitar-led beat. Once Lloyd's powerful tenor enters, it's all over. Hopefully, this is a sign of things to come.